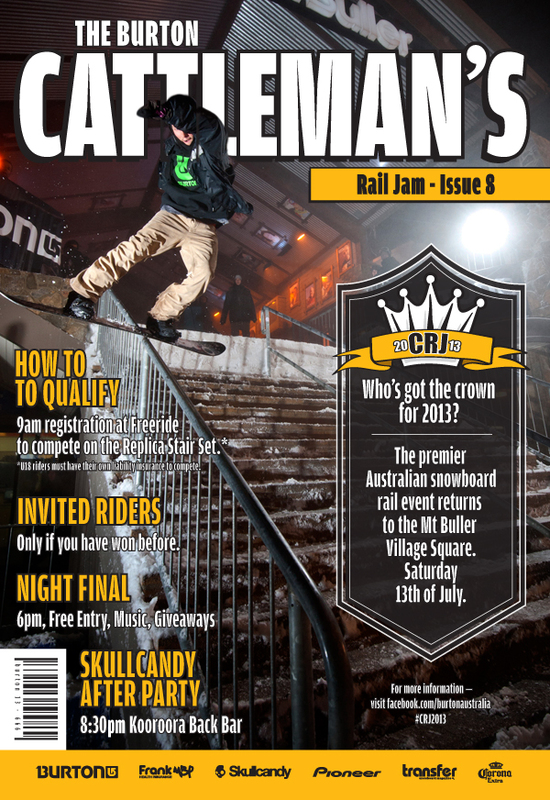 Mt Buller will once again host the 8th Burton Cattleman’s Rail Jam next weekend. If your heading up to the mountain check it out. Some of the best rail riding you’ll ever see!